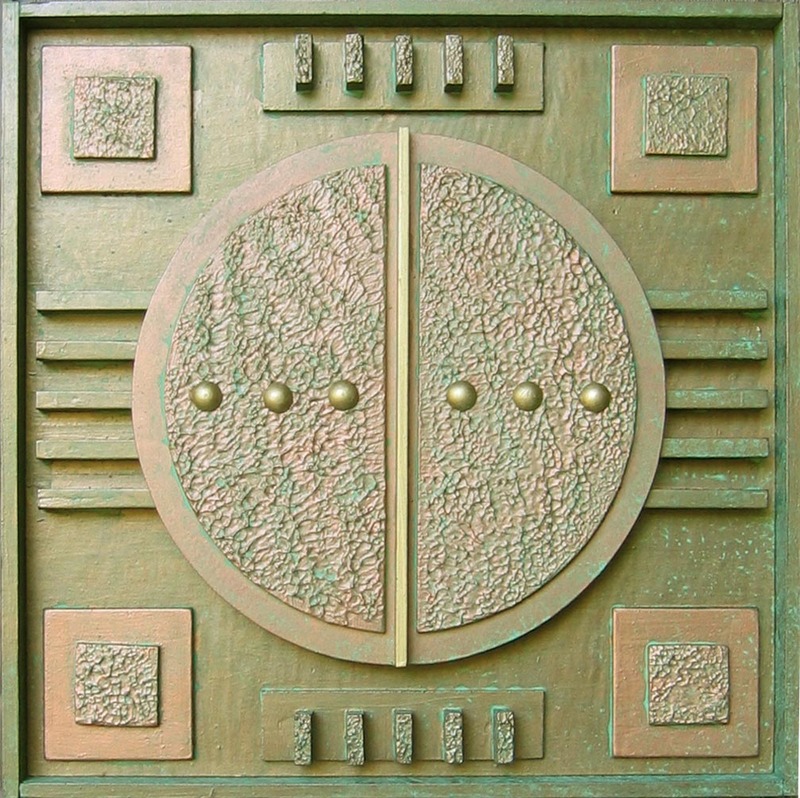 Like Prairie Moon, Bronze Moon was created in response to a "call for entries". This time the caller was Peppertree Studios in Cedar Rapids, Iowa. They offered foot square canvases for $5.00 or you could provide your own materials and enter for free. Entries had to be submitted by September 30, 2004. The show opening was October 8, set to coincide with a gallery tour of 6 of the studios here in town and ran for two weeks. The piece was voted most popular by the people attending the opening. The sculpture was constructed of wood and masonite. 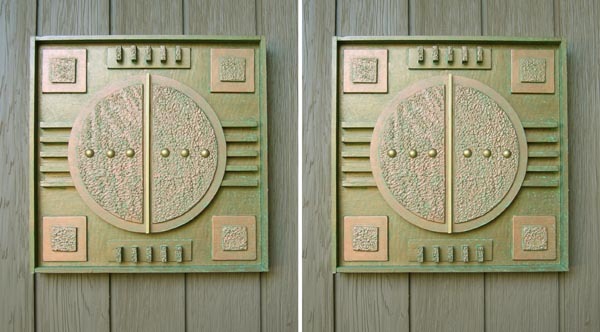 Texture was applied to several surfaces with "texture paint". 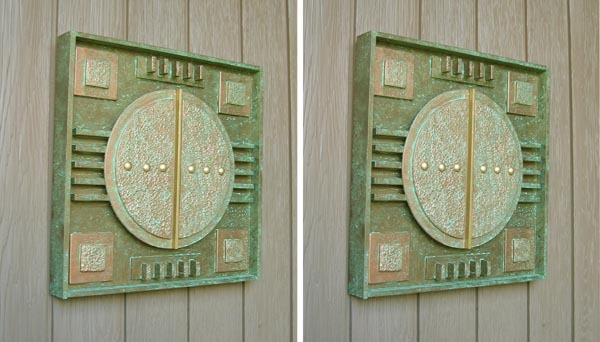 Metal coatings of bronze, brass, and copper were added and the final piece was patinated.